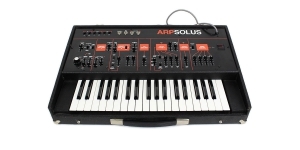 Solus is an instrument aimed at touring musicians, for situations where every centimeter is important, and a rigid case must protect the content reliably. 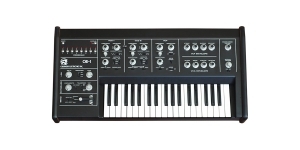 The synthesizer is assembled in a wooden housing with a convenient handle for transportation. 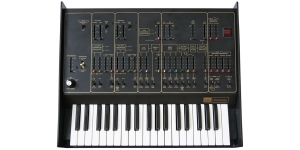 The synthesizer is quite rare: the assembly was done manually, and its production began only a year before the bankruptcy of ARP. To build the sound, two voltage controlled oscillators (VCO) were used with the choice of waveform (meander/saw) by the slider, which makes it possible to achieve both "pure" forms and intermediate, blended ones. Both VCOs are subject to master and octave switch control, an independent tuning controller and an octave switch (+1, +2 the main switch) are also available for VCO2. For each of the oscillators, pulse-width modulation (PWM) is available carried out by the envelope generator signal or LFO. For VCO2, frequency modulation (FM) is also available by the envelope generator or LFO signal, and the hard-sync mode with VCO1. In the mixer section one slider can simultaneously set both the balance of the two oscillators and the mode of ring modulating of the signal VCO1 on VCO2 or the signal of an external source. The voltage controlled low-pass filter (LP VCF) has frequency, resonance and depth adjustment of the modulation signal by the LFO, the envelope generator (with polarity selection), the CV signal from the keyboard. The voltage controlled amplifier has only one setting - the depth of the envelope generator signal's influence. 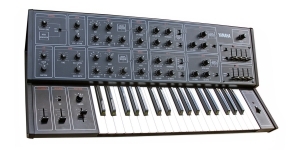 The envelope generator uses a typical for ARP synthesizers of that period circuit with the ability to set ADSR parameters. The single LFO produces a sine signal ranging from 0.2 to 20 Hz. Its signal is used for pulse-width and frequency modulation of VCO, modulation of VCF, and also for constructing the vibrato effect. 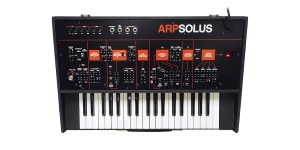 Solus has six "tiny jack" connectors for CV, gate and trigger control signals inputs and outputs, which allows using the synthesizer together with modular synthesizer systems or MIDI-CV converters. 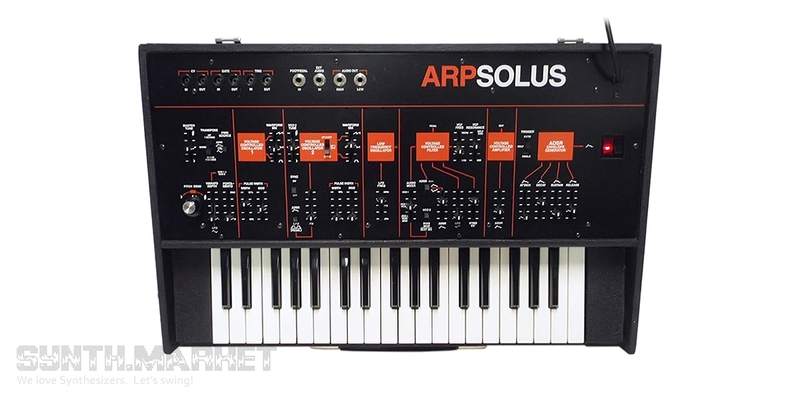 The sound of ARP Solus can be heard in the works of Tangerine Dream. 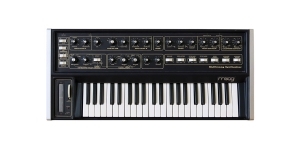 Synthesizer, Analogue (A), Voices: 1, Monophonic, Monotimbral, Oscillators per voice: 2, Sub-Oscillators per voice: 1, Number of Keys: 44, Size: 3.5, Velocity Sensitivity, Production start: 1983.